Successfully saved Oatmeal Chocolate Chip Bars to your Calendar. You can also save the ingredients to your Grocery List. 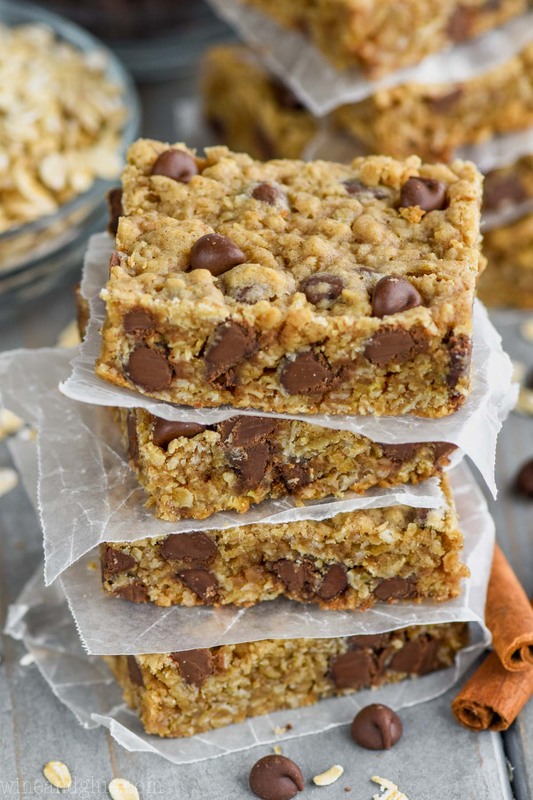 These Oatmeal Chocolate Chip Bars are such an easy delicious recipe! Chewy, full of chocolate chips, and buttery soft, these chocolate chip cookie bars are the best dessert! Like thick and chewy Oatmeal Chocolate Chip Cookies but so much easier!